Welcome to Personal Die Cutting! Personal Die Cutting was created to bring you the most comprehensive and best die cut machine reviews and comparison guides on the web. We listen to hundreds of real customers and talk directly to manufacturers to bring you the best machine reviews. We work hard to bring you accurate and unbiased information. If you are looking for an embossing machine to make handmade cards, an electric cutting machine for scrapbooking, or a vinyl cutter to make home decor, we have the best and most popular machines for you to compare. 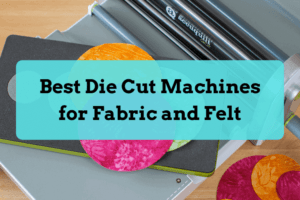 We have reviewed all the popular die cut machines for 2019. Also be sure to check our out digital die cutting machine comparison guide and manual die cut machine comparison guide. Below are some of the top-rated die cut machines on the market today. 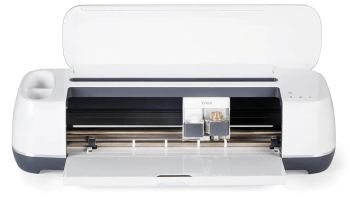 The Cricut Maker is one of the newest machines on the market with some unique features. Along with having 10x more cutting force than the Cricut Explore at 4000 grams, it also comes with a built-in Adaptive Tool System for greater precision. The Cricut Maker die cut machine can be used with the advanced knife and rotary blades, which makes working with fabric easy. Just like the other Cricut Explore machine, the Make machine uses Cricut Design Space software. The KNK Zing Air die cutter is a powerful and robust machine for the serious crafter. With 750 grams of cutting force, it’s over 3 times stronger than the Silhouette Cameo. The precision of this machine is super focused, being able to cut designs only a few millimeters wide. Not only can this machine cut and draw with almost any writing utensil, but it can also emboss, engrave, score, and pierce. The KNK Zing cutting machine works with Make-The-Cut software. MTC software is a powerful design suite to create custom designs or import .svg and other file types. The support for this machine is second to none. The KNK support staff is dedicated to helping users and will even test materials out for potential customers before they even buy. The Cricut Explore Air is the most user-friendly die cut machine that we have reviewed. Users have been able to open up the box and start cutting within minutes. The Smart Set Dial automatically adjusts the blade speed, depth, and pressure, so you don’t have to waste time and material. This Cricut has two carriage heads, so users can sketch and cut designs in one pass without stopping. This Cricut cutting machine has gone through some tough testing, and its German carbide blade makes some precise cuts. The free online Cricut Design Space software isn’t the best for creating custom designs, but you can import .svg and .jpg files for free. It’s important to note that to use the machine, you will need an internet connection. The Silhouette Cameo isn’t as strong as the Cricut Explore, but it comes with powerful software, which is great for creating custom designs from scratch. If you are looking for a craft cutter for paper and vinyl material, consider the Silhouette Cameo. The machine can cut intricate designs up to 12″ wide and 10 feet long. Silhouette’s PixScan technology allows users to take pictures of designs with a camera or smartphone and upload it the computer for the machine to cut. The machine does not use any cartridges, but it can work without a computer by using images from a USB drive and the full-color touchscreen. The Brother ScanNCut is the only die cutting machine that comes with a built-in scanner. The machine can scan hand-drawn shapes or pictures, and automatically create cut lines for custom dies. The machine can also draw images and phrases. With the ScanNCut, users can use the 300 DPI scanner to upload pictures to their computer. The ScanNcCut is designed to work independently from a computer. Users can always use the Brother Canvas Software to create designs and import them to the machine by using a USB drive. This machine also comes with some features specifically for quilters and cutting fabric. These are manual die cut and embossing machines. These machines are a great way to supplement digital machines. These machines are good for creating handmade cards and can also cut multiple layers of fabric. The Cricut Cuttlebug is a cute die cutting and embossing machine. The machine folds up, which makes it perfect to save space in your craft room or to carry with you to your craft meetups. When in use, the machine suctions to the table, to help prevent it from moving around. 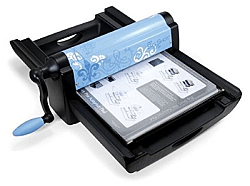 The Cuttlebug can work with various dies and embossing folders from different manufacturers such as Sizzix. 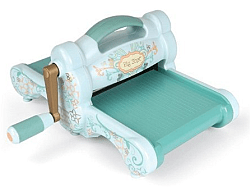 The Sizzix Big Shot doesn’t fold up like the Cuttlebug machine, but when it comes to embossing and cutting, the machine is a little bit stronger and versatile. The multipurpose platform allows the machine to use dies from other manufacturers. 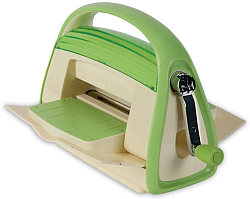 This Sizzix embossing machine can be used with the Bigz dies from Sizzix, which is great for quilting. We recommend the Big Shot for its versatility and durability. The Sizzix Big Shot Pro machine is a big and strong machine for cutting larger pieces of material, up to 13″ wide. Because the machine is so big, it can work with any die on the market. This machine can even cut multiple layers of long pieces of fabric. The machine is a little pricey, but it is built to last. This machine is recommended for the serious crafter or for a classroom setting. What die cut machine is best? The best die cut machine is a die cut machine that best fits your needs. If you are looking for a scrapbook cutting machine or an electronic vinyl cutter, you won’t need the strongest machine for cutting. If you want to travel with the machine, perhaps a more portable machine is best. Strength – Will you need a strong machine to cut heavy materials? Or will you mostly be using the die cut machine for scrapbooking? Die cut machine strength is measured in grams of force. Some machines can cut heavy chipboard, while other machines are limited to cutting vinyl and paper. 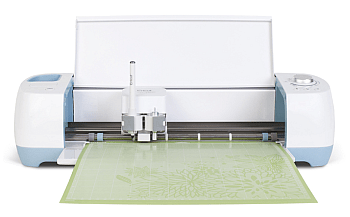 Capabilities – Will you need a machine to emboss, score, etch, and draw? Do you want scanning capabilities? 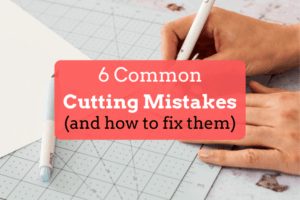 Most digital die cut machines can cut and draw. Some machines even have built-in scanners to create custom designs. Also, consider the max cutting width of the die machine. Software – Do you want to create custom designs from scratch? Or do you want to operate the machine without a computer? Some machines don’t require a computer, while other machines require an internet connection. Pay special attention to the types of files that are compatible with the digital die cutting machines. Some pieces of software require an upgrade to import .svg file types. 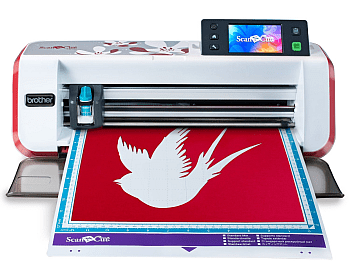 Size and Portability – Do you want a portable die cut machine that you can easily travel with and save space in your craft room? Some die cut machines fold up or are small enough to fit on your shelf. Some machines are big and heavy. Thank you for visiting Personal Die Cutting! We hope you find the right cutting machine for you and found our die cut machine reviews helpful. As always, we would love to hear from craft friends, and heat about any DIY projects that you are working on. We enjoy connecting with others and sharing project ideas and tutorials. Happy crafting!